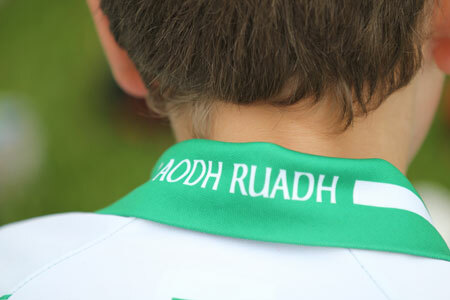 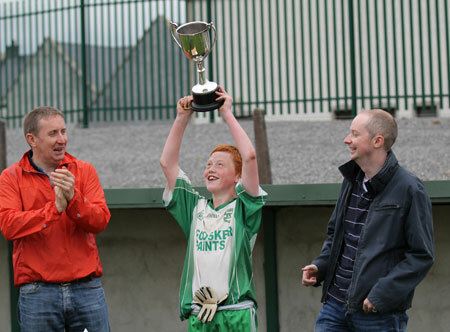 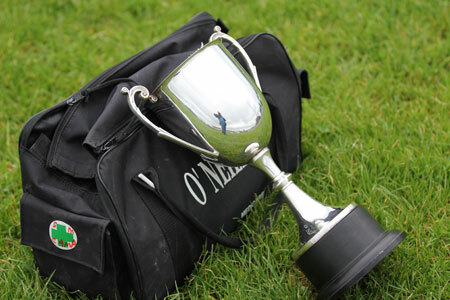 Aodh Ruadh brought the Willie Rogers trophy back to the banks of the Erne last Saturday. 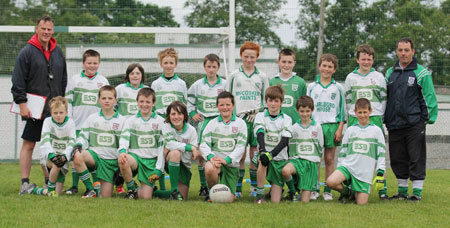 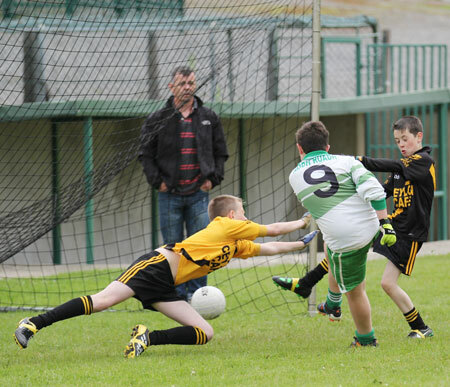 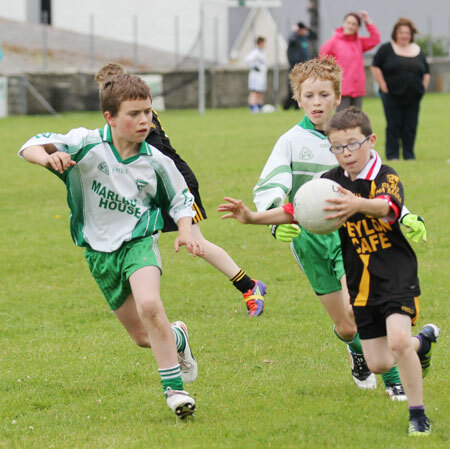 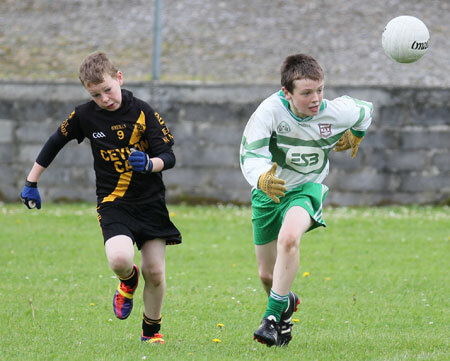 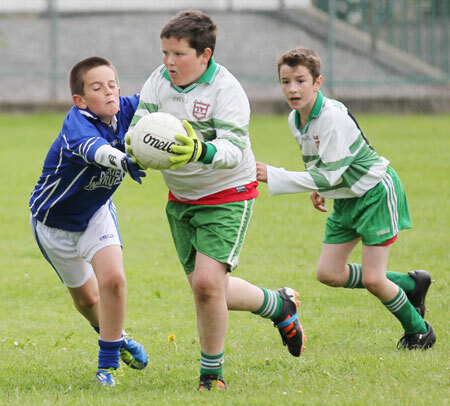 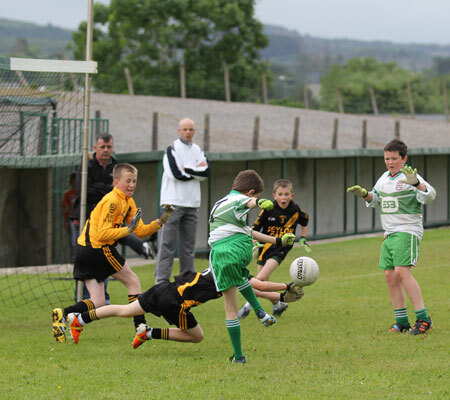 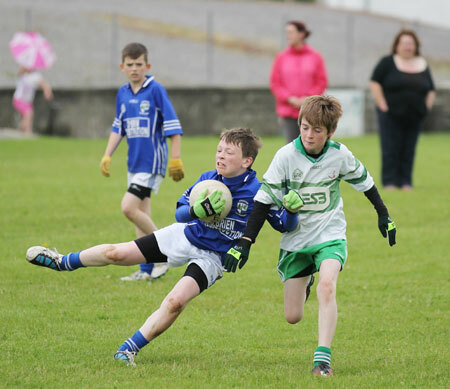 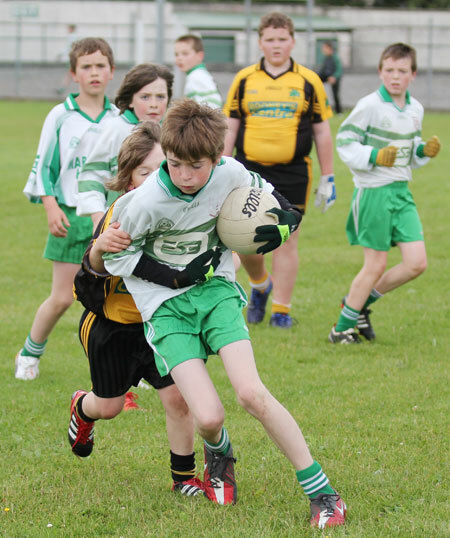 They progressed to the final with three round robin wins over Erne Gaels, Bundoran and Devenish. 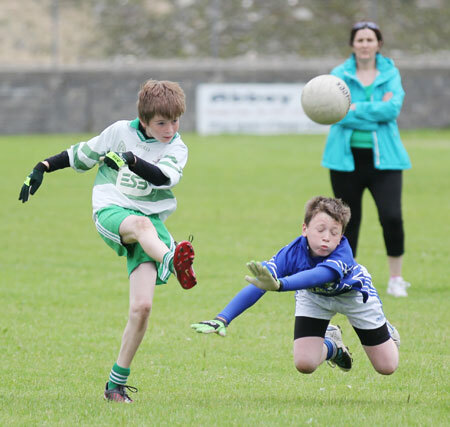 It was evidence of how evenly matched the competition was that the other three teams were all tied on two wins apiece and could only be separated by scoring difference. 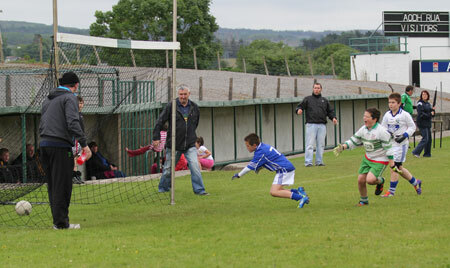 In the Devenish were the team that progressed to the decider, a game which proved to be a mighty battle. 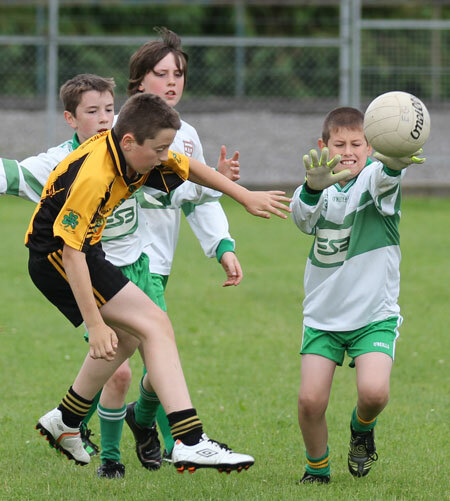 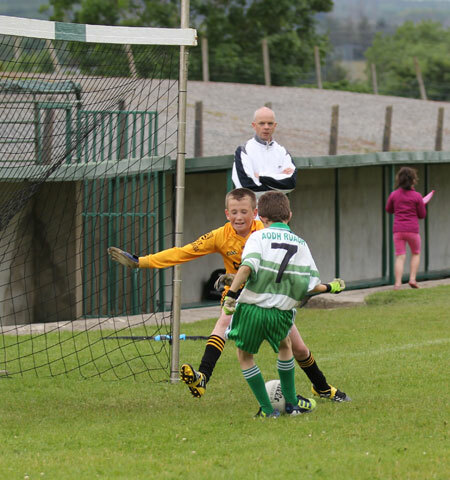 Devenish were on fire in the first half and went in at half time winning by 2-4 to 0-1. 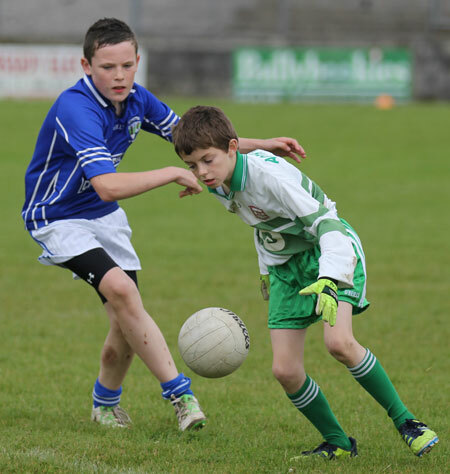 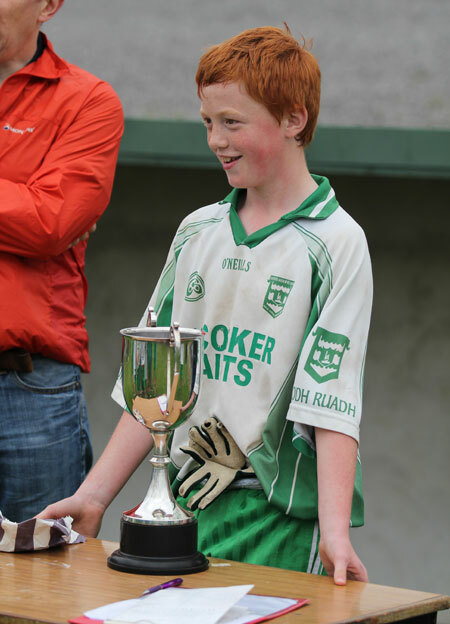 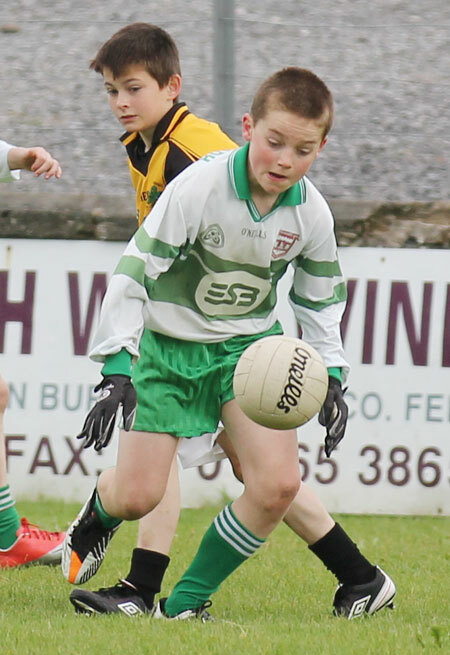 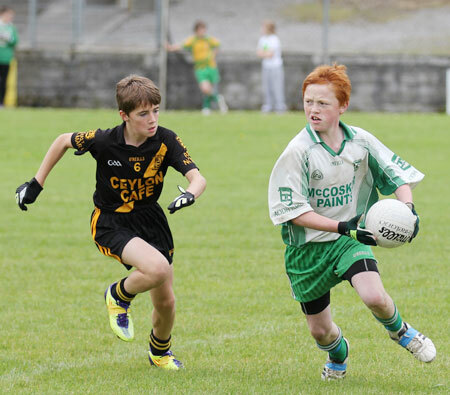 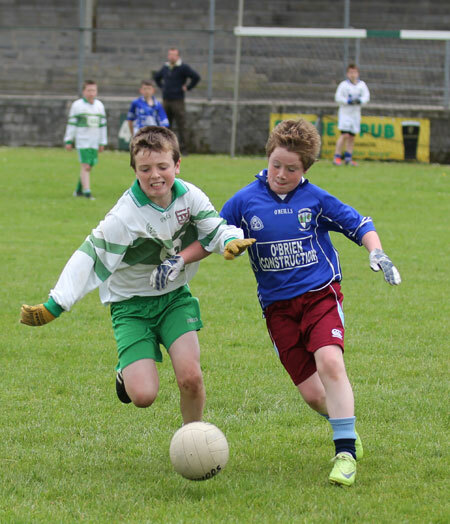 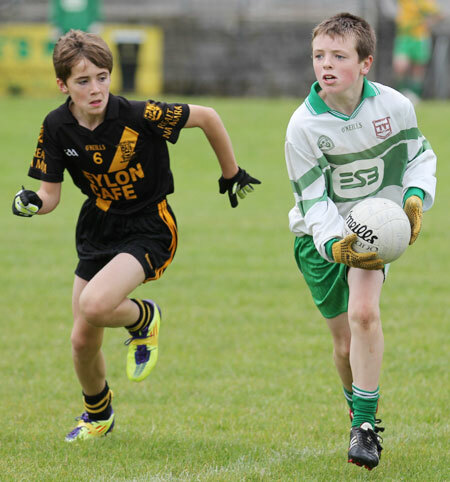 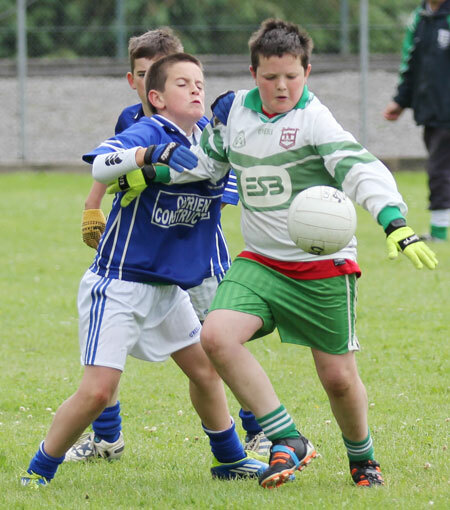 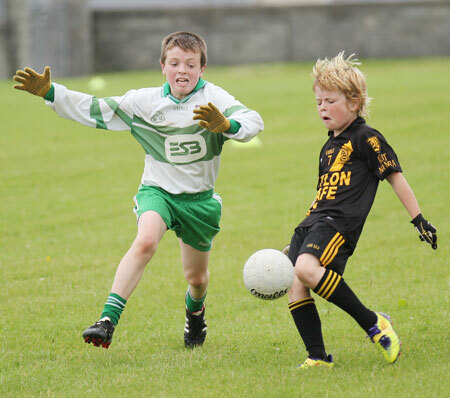 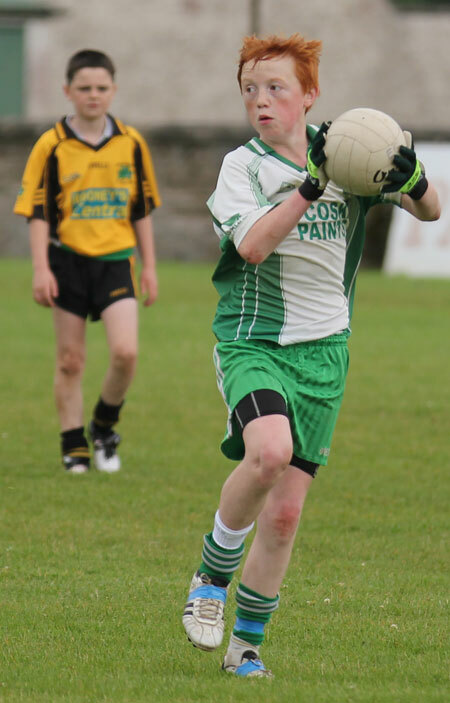 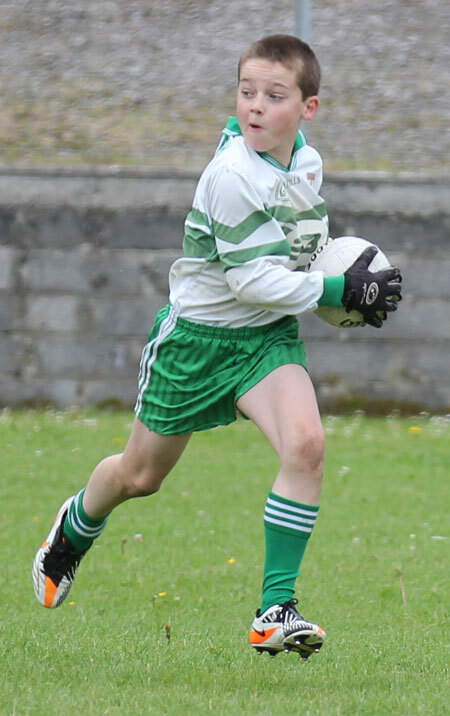 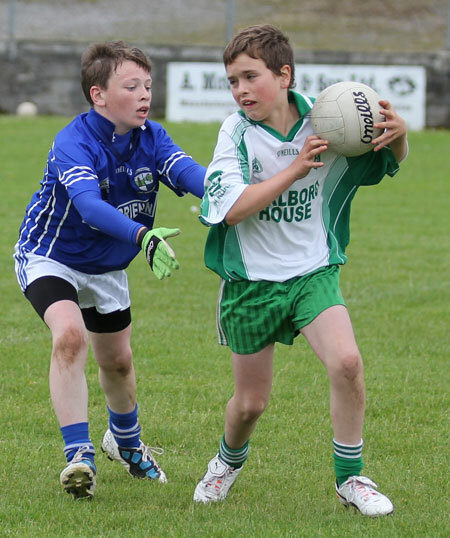 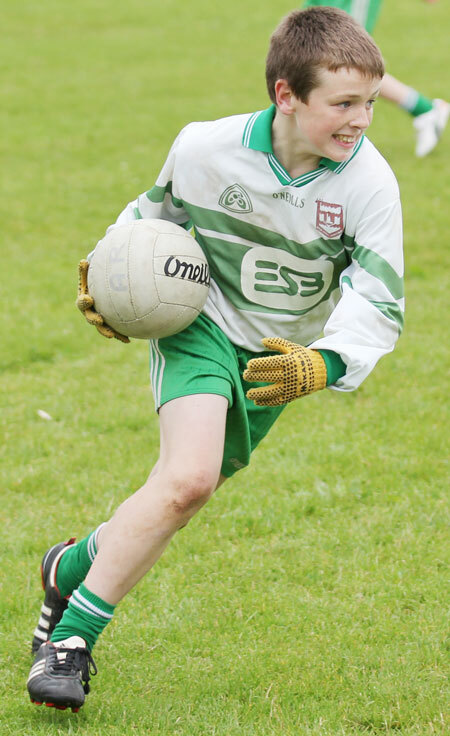 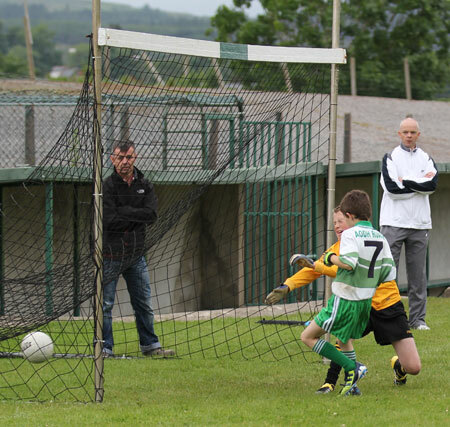 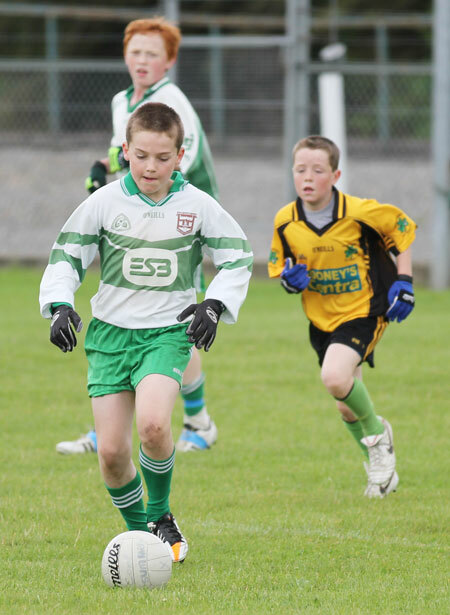 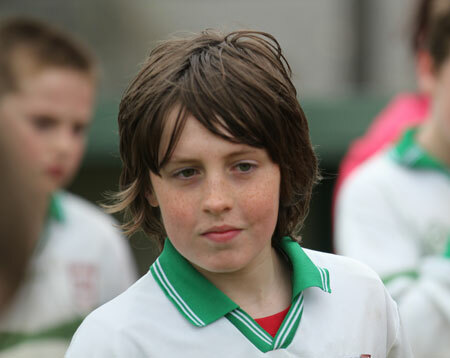 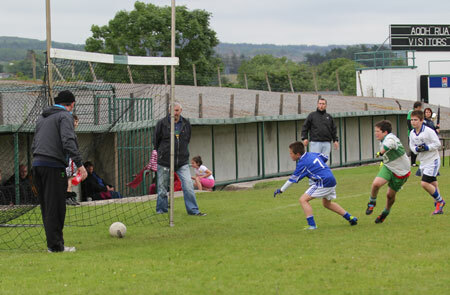 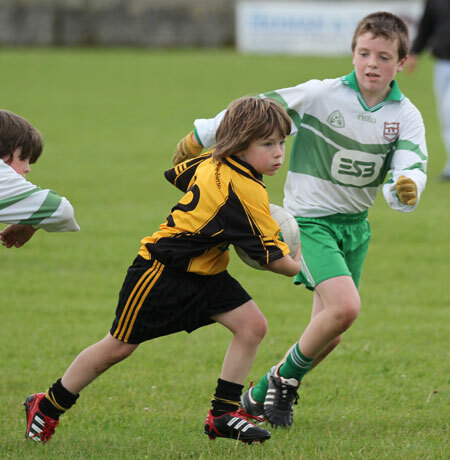 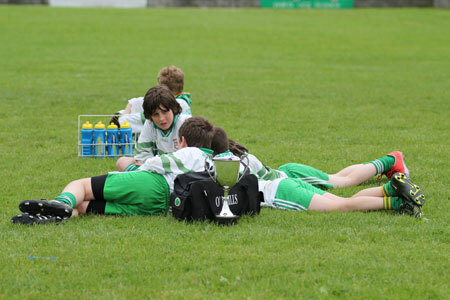 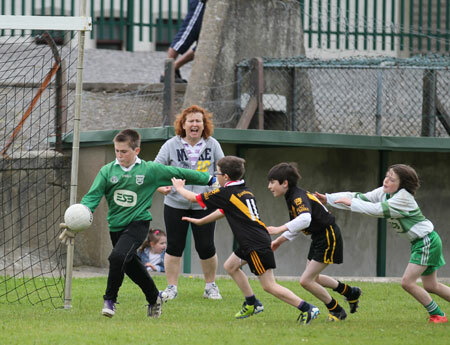 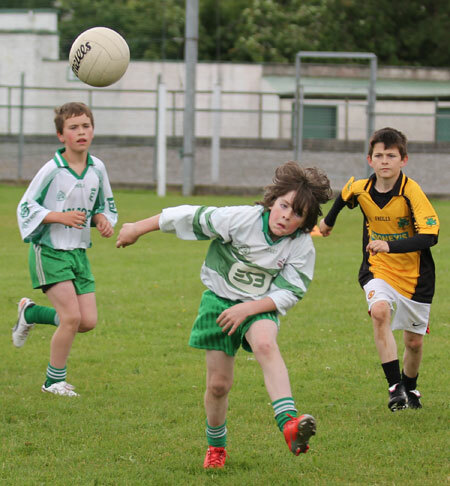 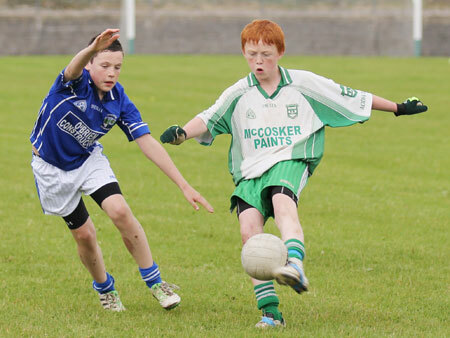 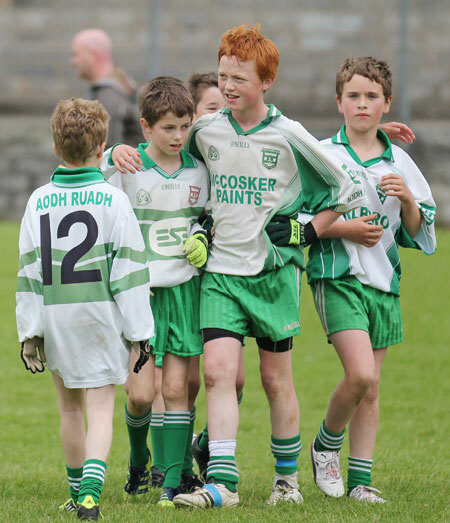 After a rousing half team speech Aodh Ruadh tore into the Garrison boys in the second half. 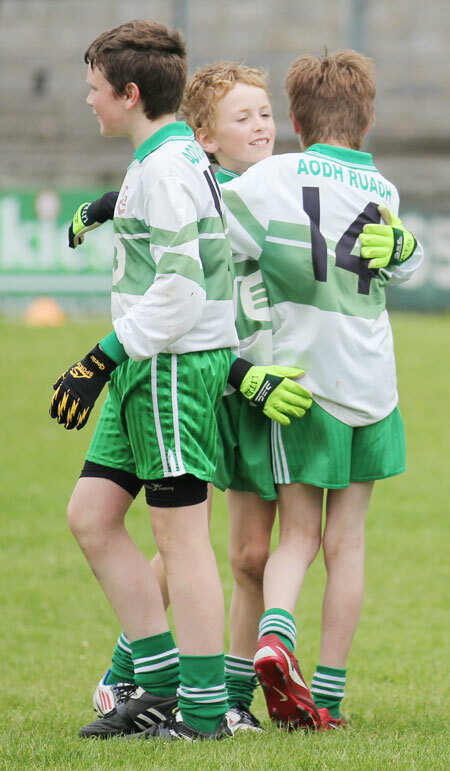 It was an end-to-end second period with lots of thrills and spills, but it was Aodh Ruadh who had the lion's share of the scoring and they emerged four point winners. 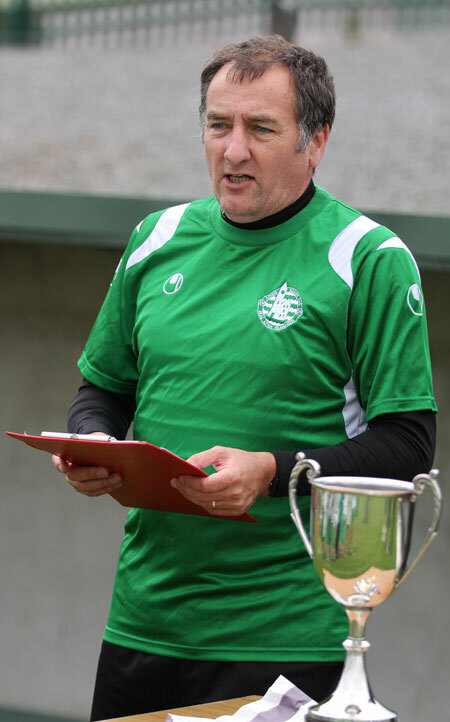 The tournament win was truly a team effort and one of those occasions where it would be wrong to separate any player out for special mention. 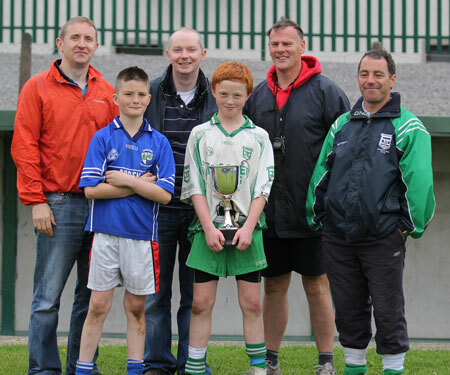 Bord na n�g chairman Shane Toolan was compere for the presentations with Willie Rogers' sons, Barry and Gavin, stepping up to present the Willie Rogers trophy to the Aodh Ruadh captain Dylan Gallagher. 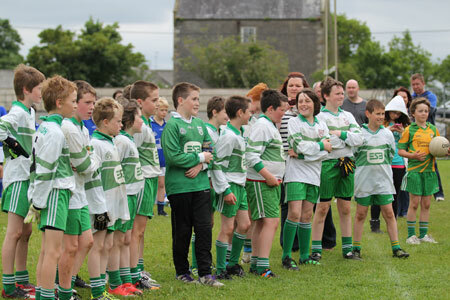 Dylan thanked all the participating teams, referees, the parents for the spread of the food and concluded with three cheers for a gallant Devenish outfit.